The charity chief executives body Acevo has set up an independent commission to investigate the impact of the lobbying bill. Acevo said it would be working with a coalition of 37 "charities, campaigning groups, academics, think tanks and online networks" to study the bill. The group, which will be called the Commission on Civil Society and Democracy, includes senior figures from charities and other groups, including the Countryside Alliance, Mumsnet and the National Union of Students. 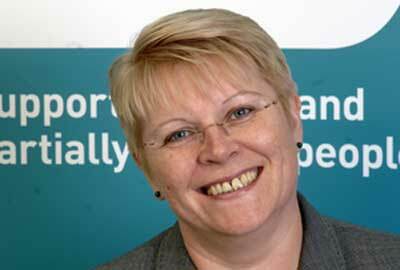 It will be chaired by Lesley-Anne Alexander, chief executive of the RNIB and chair of Acevo. The commission will take evidence from a range of civil society organisations. Acevo said it would "develop an alternative framework for regulating the activities of civil society organisations in elections" and make recommendations to parliament in time for the committee stage of the lobbying bill in the House of Lords, expected to be in late October. Baroness Mallalieu, president of the Countryside Alliance and a member of the commission, said it had been set up because of a "deep disquiet" about part two of the bill, which she said "currently contains proposals which we believe are potentially highly damaging to the voice of democracy". Part two of the bill sets out proposals that charities fear could limit their ability to campaign. "As the government is not planning to consult those affected or to re-examine the bill before it reaches the Lords in late October, this commission will try to do so in the very limited time available," said Mallelieu. Toni Pearce, president of the National Union of Students, said: "This bill had been woefully lacking in consultation, was ill-thought out and remains poorly drafted – but, most importantly, it threatens to undermine vital democratic freedoms. "It is now time for the government to listen to civil society organisations." Alexander and Sir Stephen Bubb, chief executive of Acevo, will today meet Andrew Lansley and Tom Brake, the leader and deputy leader of the House of Commons respectively, to "urge them to take a pause and listen to the views of civil society on the bill", a statement from Acevo said. - Georgette Mulheir, chief executive, Lumos.